Christy Brooks is a native of West Virginia, born and raised in Morgantown. Christy attended West Virginia University and moved to the Northern Virginia area soon after attending WVU. During her time in the metropolitan area of Washington, D.C., Christy had the privilege of working in the U.S. House of Representatives for the late Matthew G. Martinez. 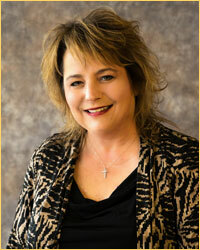 Christy realized what her passion would be; helping others to obtain the "American Dream" of home ownership! Christy knew this was a big life step and wanted to educate, guide, and help her clients to make THE best choice for their individual home ownership needs. Christy worked as a realtor for eight years in the Northern Virginia real estate market, selling in excess of $5 million worth of homes. Christy has worked with a variety of buyers and sellers, including; First time home buyers, new homes and foreclosure properties, FBI, Secret Service and other government employees, and other relocation clients from across the United States. Since her relocation back to Morgantown, Christy has joined "Real Estate by Vickie Jenkins and Associates" and is again is doing everything she can to help her clients to obtain the "American Dream". Her education and experience have enabled her to provide the highest level of customer service to both sellers and buyers while striving to make each of her clients real estate experiences the best possible!